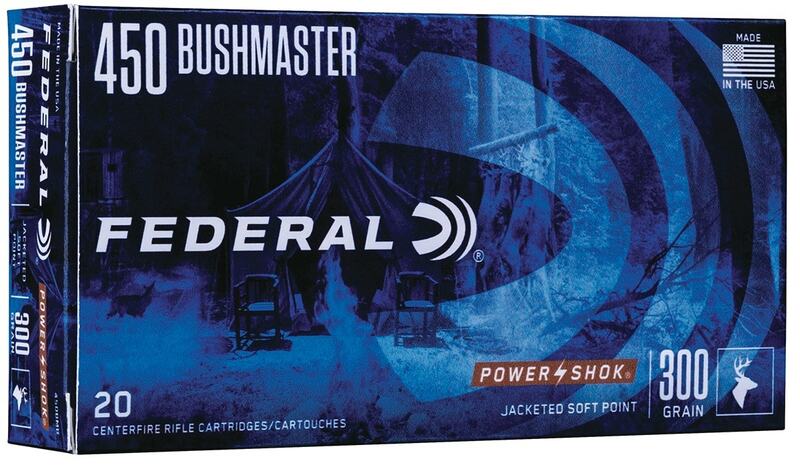 Federal Ammunition delivers new loads for hunters chambered in the power-packing .450 Bushmaster. 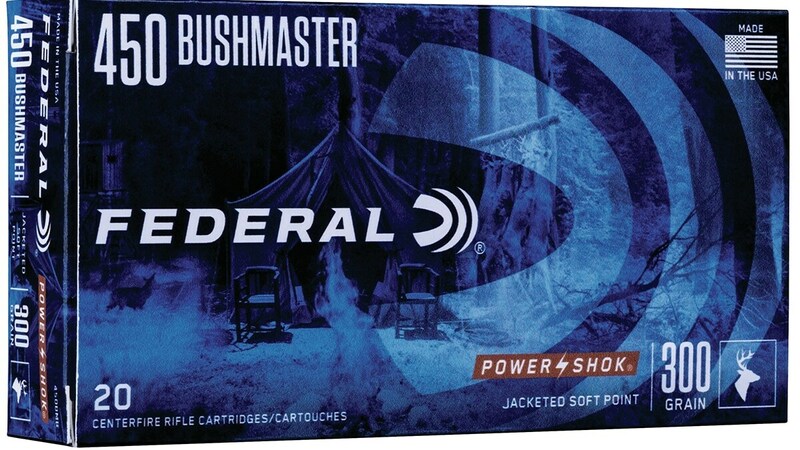 Available now in Power-Shok ammo with Fusion and Non-Typical ammunition to follow, the .450 Bushmaster offerings take on medium game. Fusion bonded ammo provides “best-in-class expansion” while Non-Typical is created especially for deer hunters. Rounding out the series is the Power-Shok variant which tackles medium game. Legal in “slug-only” areas, the Federal .450 Bushmaster products deliver distance as well as accuracy and power — more-so than straight walled rifle cartridges and sabots, according to Federal Premium. The Power-Shok model is shipping to dealers and distributors now while the Fusion and Non-Typical versions will arrive on the market at an unspecified time int he future. All three will ship 20-rounds to a box with prices under $40.